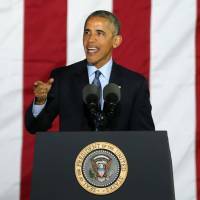 Former U.S. President Barack Obama considered a pre-emptive strike on North Korea after it conducted its fifth nuclear test in September 2016, just days after lobbing three medium-range ballistic missiles 1,000 kilometers into Japan’s exclusive economic zone, according to a book by Watergate journalist Bob Woodward released Tuesday. “Even with his intense desire to avoid a war, Obama decided the time had come to consider whether the North Korean nuclear threat could be eliminated in a surgical military strike,” according to the book. “The North Korean threat had not been diminished, and in September 2016 Obama posed a sensitive question to his National Security Council: Was it possible to launch a pre-emptive military strike, supported by cyber attacks, on North Korea to take out their nuclear and missile programs?” it said. The Pentagon has reportedly devised plans to strike the North Korean leadership and key weapons sites, but fears of retaliatory strikes by Pyongyang on South Korea and possibly even Japan that would leave scores dead and likely trigger a larger conflict have flummoxed defense planners. Eventually, Obama decided against such a strike, according to the book, after U.S. intelligence and the Pentagon estimated that about 85 percent of the North’s known nuclear sites could be attacked and destroyed and after taking into account a likely response by Pyongyang. 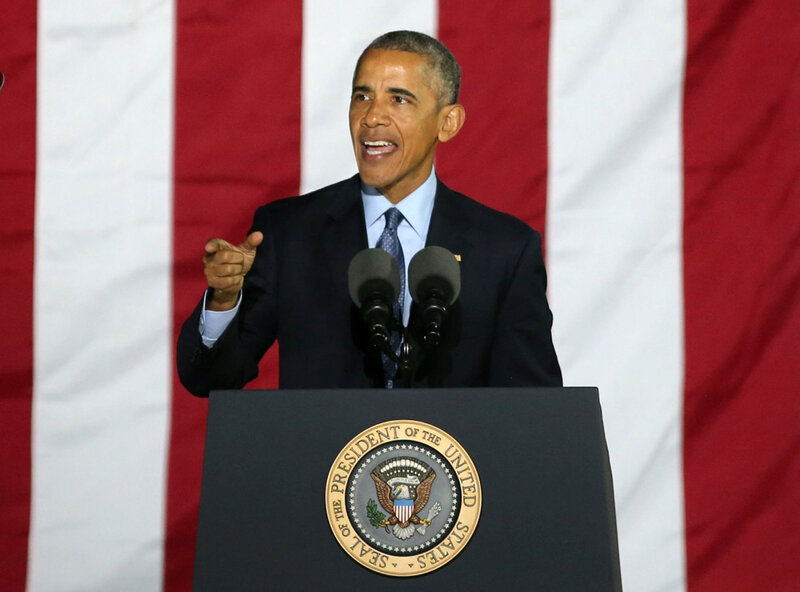 Obama considered such action “unthinkable,” the book said. Last year, after Pyongyang conducted a spate of missile launches and its most powerful nuclear test to date, the administration of U.S. President Donald Trump also reportedly weighed what became known as a “bloody-nose” strike on the North. According to Woodward’s book, Trump even asked Gen. Joe Dunford, the chairman of the Joint Chiefs of Staff, to prepare plans for a pre-emptive strike. At least one of those options, the book said, resulted in military training for “indirect assassination” operations targeting the North Korean leadership. Woodward’s account of the Trump White House as mired in chaos has raised a storm in Washington, with the president bashing the book as “fake” and numerous officials issuing denials of sections quoting them.